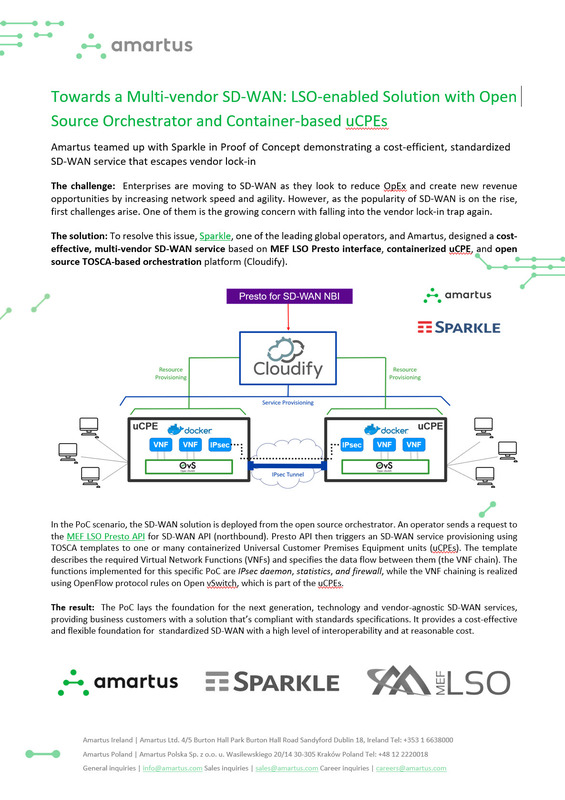 Sparkle, one of the biggest global Service Operators, invited Amartus to a MEF LSO Proof of Concept to deliver a cost-effective, vendor-agnostic SD-WAN solution based on uCPEs and Docker containers. 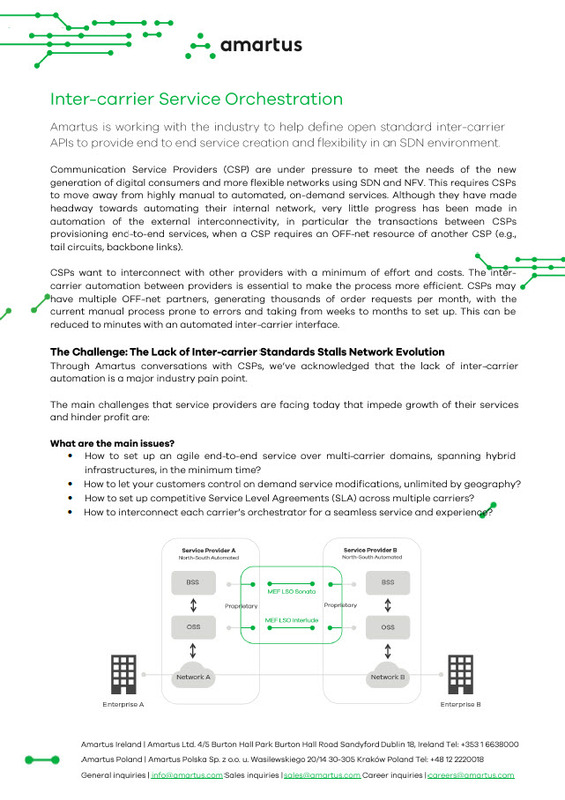 The challenge: How to liberate modern SD-WAN enabled services from vendor lock-in by delivering a standardized, multiple vendor solution? 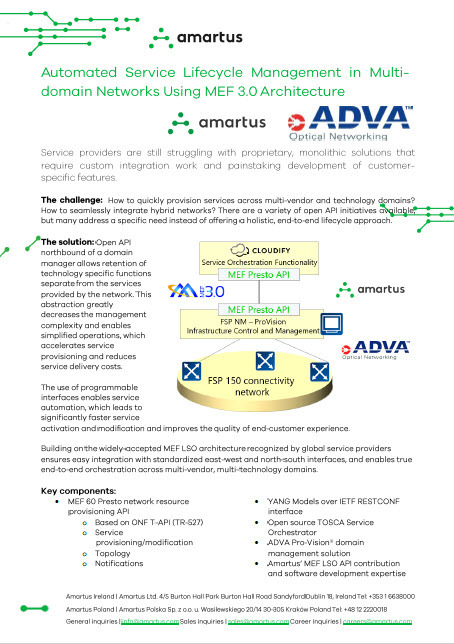 ADVA and Amartus open the door to streamlined operations and accelerated service activation with a joint solution using MEF 3.0 LSO Presto API, Amartus’ networking expertise, and ADVA Pro-Vision® advanced SDN orchestration. 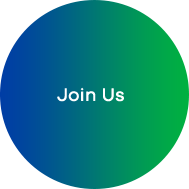 The challenge: How to quickly provision services across multi-vendor and technology domains? 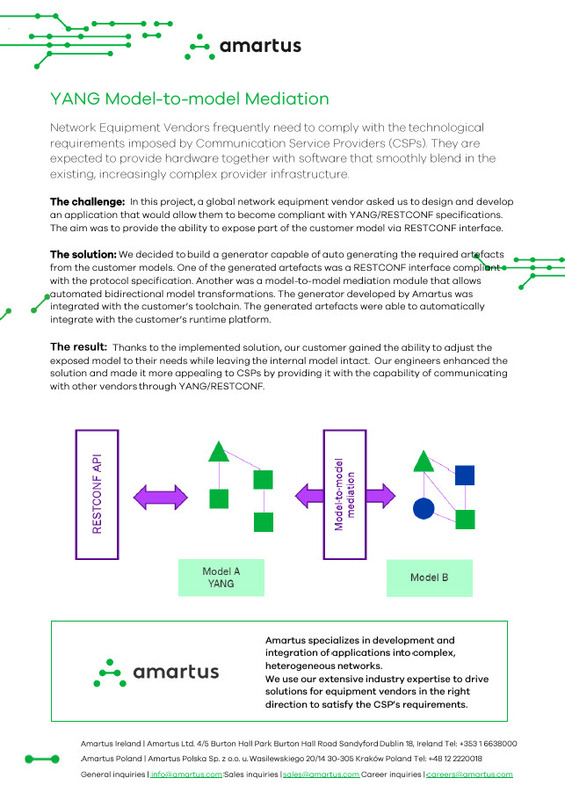 How to seamlessly integrate hybrid networks? 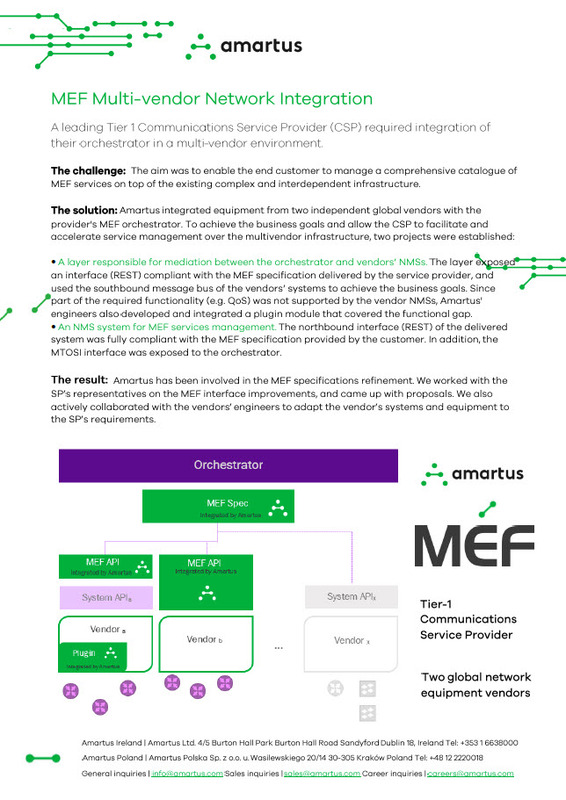 EXFO and Amartus demonstrate how a combination of advanced orchestration and active testing can speed up delivery of tailored, scaleable services to business customers. 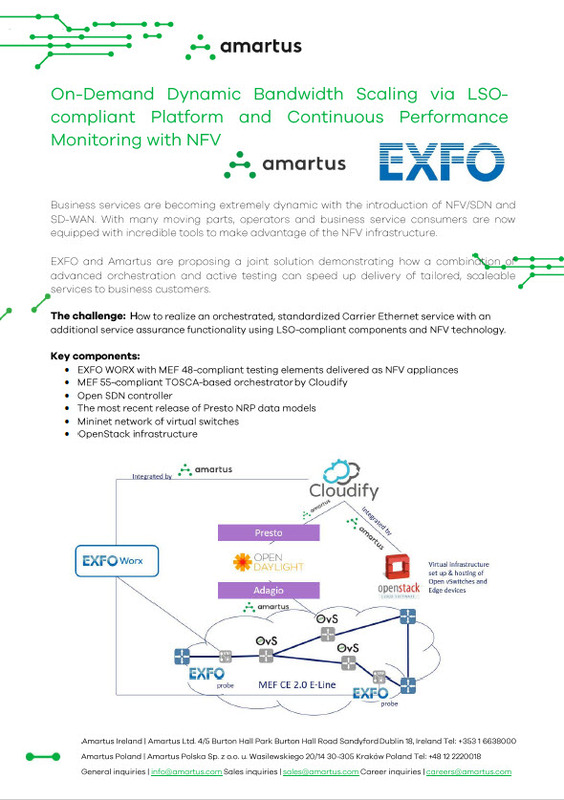 The challenge: How to realize an orchestrated, standardized Carrier Ethernet service with an additional service assurance functionality using LSO-compliant components and NFV technology. 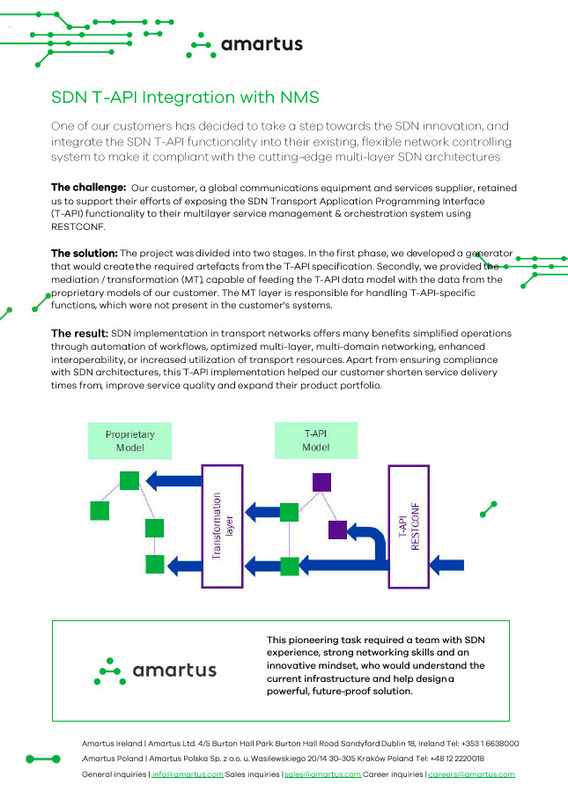 One of our customers has decided to take a step towards the SDN innovation, and integrate the SDN T-API functionality into their existing, flexible network controlling system to make it compliant with the cutting-edge multi-layer SDN architectures. 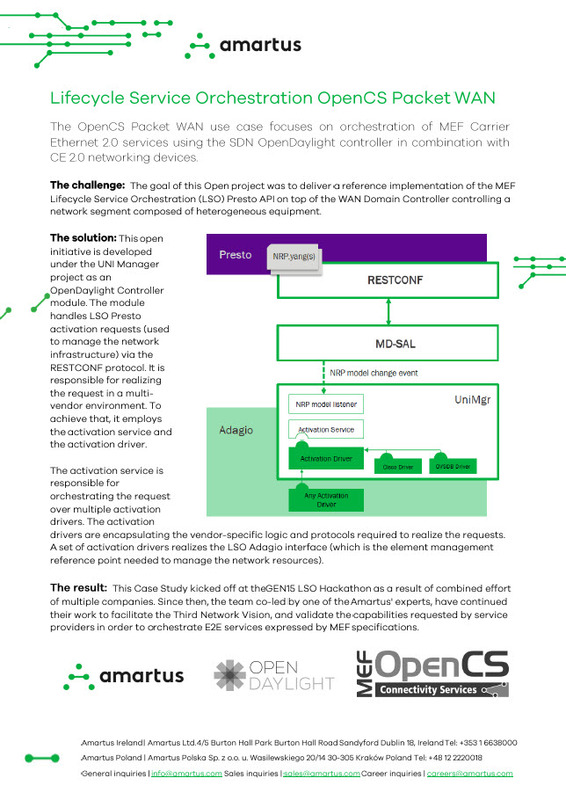 The challenge: Our customer, a global communications equipment and services supplier, retained us to support their efforts of exposing the SDN Transport Application Programming Interface (T‑API) functionality to their multilayer service management & orchestration system using RESTCONF.